I recently tagged along with the SoundStage! video-production crew on a trip to McIntosh Laboratory. It was a balmy, late-September afternoon in Binghamton, New York, and the crew were shooting interviews with McIntosh Group president Charlie Randall and several engineers for an upcoming video series about the company’s new integrated amplifiers. Between takes, I was able to talk with Randall. That discussion expanded into a full interview that we’ve decided to run in place of SoundStage! Hi-Fi’s regular opinion piece. McIntosh also appears to have a handle on the expectations of younger customers, a group Randall calls “music maniacs,” distinguishing them from audiophiles. For this reason alone, I expect we’ll be seeing a range of innovative, affordable integrated and lifestyle products from McIntosh in the future. After a brief tour, my visit wrapped up with a stop at Audio Classics, a high-end shop in nearby Vestal, New York, where I viewed the store’s extensive collection of vintage McIntosh products and artifacts. If you’re in the area, Audio Classics is well worth a visit. Their collection should be of interest to audiophiles and music maniacs alike. Al Griffin: What kind of products do you see McIntosh Laboratory focusing on over the next few years? Charlie Randall: When we look to the future, we go out about three years. Part of our focus will be to maintain the existing product line. For instance, we just revamped all of our integrated amps. If a new technology comes in, be it a feature set, or an audio-component advancement such as an output transistor for an amplifier, we’ll do the research to find out what’s changing. Streaming has come a long way, from MP3 now to DXD. 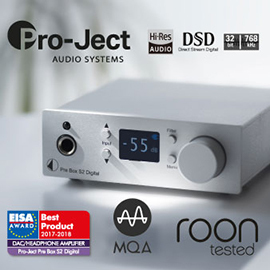 More people are starting to rely on streamed content, so that was a reason for updating the DACs on the back of our integrated amps and preamplifiers. From a technology standpoint, we’re seeing that the CD category is relatively flat, even shrinking a little bit. Turntables and phono stages, on the other hand, are going up for us. AG: Are you seeing a resurgence in the integrated-amp category? CR: I think there is a resurgence. The younger generation is falling in love with music, but in this case they’re becoming more music maniacs than audiophiles. Picture yourself listening to music on headphones four to five hours a day at work, and that’s what gets you through the day. You’re probably going to want to go home and listen to even more music, and you have a small system at home with an integrated amp, because it’s your first system. But when you look at one of our integrated amps like the MA9000, that bottom amplifier is a big, robust unit; it looks like our MC601 monoblock, only with a lot more knobs. The 90/10 rule: an integrated is all most people need. AG: Do you plan to incorporate network streaming in integrated amps and preamps, or will that be handled by a separate component? CR: Separate component. We’re careful about not packaging too much technology in a given product. For instance, five years ago, AirPlay was the hot ticket. The problem is, if I had incorporated just that into our products, where would I be today? AirPlay still exists and remains a viable and well-used technology, but as is the nature of technology, new streaming platforms have been developed since then and even more are likely to be developed in the future. So we take a different approach. Our MB50 [wireless streaming audio player], for example, has DTS Play-Fi technology in it and is the size of our small phono preamp. If Play-Fi becomes obsolete, or we decide to do something else, the customer only has to change out that box, not their entire preamp, integrated amp, or home-theater processor. AG: You mentioned that vinyl playback is a growth area for McIntosh. How important is that category to your business right now? CR: It’s so important that we’ve got two turntables, and more coming. We’re currently playing in the upper end: our top model, the MT10, is $10,500, and our MT5 sells for $6500. What’s coming next will fit more into what we call the lifestyle category. AG: How significant are lifestyle products for McIntosh? 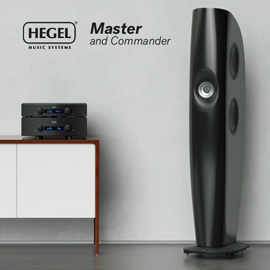 CR: Our wireless and small-chassis systems are making their way into homes where even an integrated amp is too big. The headphone amplifiers are really popular. They have different output-impedance selections, and we use different output transformers to match the impedance of the headphones, which is something that nobody else does. That allows them to optimally drive any headphone from 8 ohms all the way up to 600 ohms. AG: McIntosh covers the entire product spectra of hi-fi and home theater. Is an all-encompassing product mix part of the company’s strategy for the future? CR: Setting aside lifestyle products for a moment, the diversity we offer is meant to satisfy both two-channel and home-theater customers. Many people at the entry level of two-channel audio would be happy to listen to CDs using their DVD player. But a typical McIntosh customer is going to have a separate CD and DVD player, even if it’s incorporated into a home theater, because they think that the video circuitry is messing with the audio circuitry, etc. That adds complexity to the SKU count, but then, our customers are somewhat complex. Also, when you look at what sells in North America, as compared to Asia and Europe, you see that you have to maintain a level of complexity to satisfy the entire world. For example, our No.1-selling preamp in the US is the C2600, a vacuum-tube model. In Europe, it’s the C52, which is solid-state. In Asia, it’s a combination of C2600, C52, and the C1100 -- another tube unit. Since half our business is North America and half is export, you can’t use one tool to do the whole job. AG: How would you characterize the state of tubed amps? Are new listeners gravitating to them and their distinctive sound? CR: They’ve always been a popular product for McIntosh. The interesting thing is that McIntosh exited the vacuum-tube category in 1972 and switched over to solid-state. We didn’t go back into the vacuum-tube business until we created the MC275 Commemorative for Gordon Gow, in 1994. It went to sleep for 22 years. AG: That was a big product for McIntosh. CR: It was a huge product. The original MC275 was in production from 1961 to 1972. The only reasons why the original owners stopped it was because the tooling was worn out, and because solid-state was becoming more popular. AG: Are your customers typically interested in all-McIntosh systems, or only in specific components? CR: The hardest thing to do is get the customer to buy their first piece. Once that’s done, they’re hooked. Many people ask me if Audio Research is a competitor, since they’re also part of the McIntosh Group. I tell them not really, and here’s why: the Audio Research customer is a true audiophile, as opposed to a music maniac. The audiophile cares as much about the product as they do about the music they are listening to, and they’re compulsive about both. They want to know how the design of the product was done, what electrical components are in the signal path, etc. AG: That’s why McIntosh dealers generally sell the stack? CR: Exactly. If you think about it, we’re the only company at this price point playing at this level, when it comes to penetration of SKUs or solutions. Today, you’re not going to find a turntable maker, a CD player maker, an amplifier maker, and a speaker maker that’s all one company. Even if someone starts off buying a single McIntosh component -- an amp to use with an ARC preamp, for instance -- after they’ve bought one piece, they start to trade off the other pieces. Again, the 90/10 rule: When an order comes in, it’s a complete two-channel or home-theater system going out to that dealer. AG:How important is the home-theater category for McIntosh? CR: It’s about a 50-50 split with two-channel in the US. AG: Are you finding that younger listeners have familiarity with the McIntosh brand? CR: I think so, and two things are helping with that. The first is that people are stumbling across McIntosh on social media by happenstance when looking for their favorite artist. The second is that the younger generation is more in tune with music now than any generation before it. A perfect example: Because of streaming, my kids have more music in their personal collection they carry with them on their phone than I’ve owned in my entire life. And if everyone was satisfied with just-decent sound, the earbuds that come with the iPhone would be good enough -- yet there’s a $3 billion headphone industry out there. Will those younger listeners get to the point where they want a dedicated, component-based system? Not necessarily, but that’s where the lifestyle category comes in. I also get to see many audio shows outside the US, and have noticed an active scene in certain parts of Asia. Go to Hong Kong or China, and there are 28-year-old guys walking around with small children checking out all the products. These are serious listeners. I watched one guy dragging his integrated amp around on a wagon from room to room to hook it up to speakers he was thinking about buying. You would never see that in the US. AG: How about new technologies, such as MQA? Also, any plans to incorporate Roon support in new McIntosh products? CR: Roon is interesting to us, and we’ve had on-going conversations with them. As for MQA, we are still evaluating it and will continue to do so until we make a final decision about if and how to incorporate it into McIntosh products.